The Chilbury Ladies’ Choir is a stunning, beautiful historical fiction novel. With the men of England off to war – a war that is too often seen near their own homes – the women of Chilbury defy a local Vicar’s decree that the church choir should be silenced until the men return and instead use the power of their voices to lift up, and entertain the community. They are emboldened when they enter a competition of local choirs and come away with a trophy. But the book isn’t about the choir as a unit, but it is about community and about the individuals who make up the choir and author Jennifer Ryan manages to bring us in and close to a number of different individuals who experience a series of trials and joys during these days of war (WWII). The book is written as a series of letters, journal entries, and other forms of non-narrative storytelling (such as newspaper or flyer posts). Normally I don’t enjoy books done in this manner, finding the story-telling to be disjointed and un-focused. But author Jennifer Ryan has managed to tell this story so smoothly that in thinking back on the book, I’m remembering the characters and the story but it was only when I reopened the book that I was reminded of the method of the story-telling. Because of the method of story-telling, Ryan was able to get us directly into the heads of the different characters as they relayed their thoughts and desires and concerns in a straight-forward manner. Ryan also gives us different perspectives on the same issues as different people write about what is happening in the town. I was really impressed with how much I related with this diverse group of characters – the majority of them women (given that I am a middle age male). I cared about them. I got caught up in their lives. I wanted to keep reading about them when I was finished with the book. Often we read a book and get an interesting or well-told tale. This book drew me and made me FEEL and that’s precisely what you want in a book. This is highly recommended. Looking for a good book? 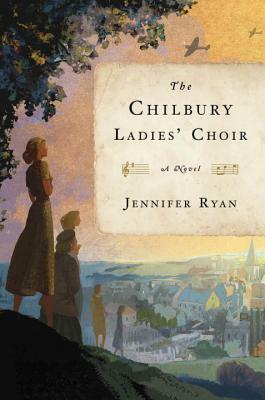 The Chilbury Ladies’ Choir by Jennifer Ryan is an absorbing historical fiction story that will have you believing you know these characters personally. It is worth reading!